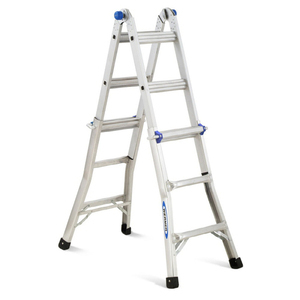 This aluminum ladder serves as either a step ladder or extension ladder. 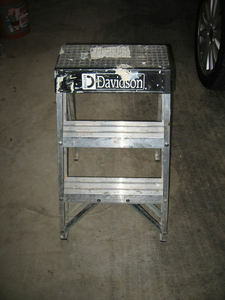 - As a step ladder, it goes from 3' to 5'. 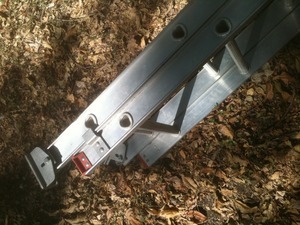 - As an extension ladder, it extends from 7' to 11'. 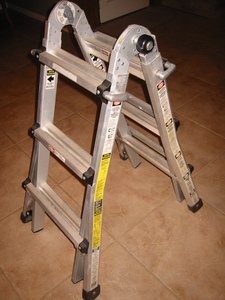 The legs extend separately so that you can even use it on a slope. 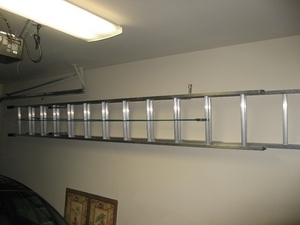 It collapses down flat, to 43" x 18" x 8" for easy transport.